The new Indian government’s decision ‘in principle’ to buy 36 Rafale combat aircraft direct from the Dassault production line in France, announced by Prime Minister Narendra Modi on April 10, appears to spell the end of the medium multi-role combat aircraft (MMRCA) acquisition process. Speaking on Indian television two days later, defense minister Manohar Parrikar acknowledged that the protracted delay in closing the MMRCA deal, caused largely by difficulty in agreeing terms and conditions for licensed production of the Rafale in India, had not served India well. Under the MMRCA plan, the Indian Air Force (IAF) would have received its first squadron of 18 Rafales from France, 12 single- and six twin-seaters. A further 108 would have been produced in India by Hindustan Aeronautics Ltd (HAL). Now, the IAF will form only two Rafale squadrons, with a possible third to follow if an option for 18 more jets is taken up. The new deal is worth $4.25 billion, according to Dev Mehta, an analyst with London-based Strategic Defence Intelligence (SDI), although “various design and pricing issues need to be worked out,” he continued. Modi said given “the critical operational necessity,” India wanted the Rafales on an urgent basis and “the terms and conditions [of the contract] would be modified’ accordingly. India apparently now hopes to receive its first Rafales in 2017, but this will require Team Rafale to significantly increase the production rate, which has been only 11 per year. The recent order by Egypt must also be accommodated. Further Rafale deliveries to the French air force may be almost suspended in favor of the export customers, to the benefit of the stretched French defense budget. Parrikar said that the Rafale acquisition should have been a “government-to-government” deal from the outset. He added that a new defense procurement policy would be announced soon, and would be less complicated than the current policy, with its “Make in India” provisions. 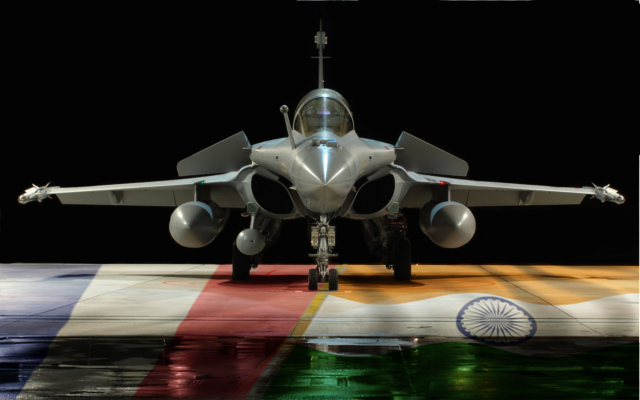 Mehta said the new Rafale deal “has given the IAF much-needed breathing space while keeping other options open. It is likely to free up funds that can partly be used for scaling up production of the Tejas Light Combat Aircraft [LCA] and the faster induction of the Fifth Generation Fighter Aircraft [FGFA] in collaboration with Russia.” AIN has learned that an additional 30 Sukhoi Su-30MKIs will be ordered in the meanwhile.